On Monday exiled Former G40 Kingpin Professor Jonathan Moyo wrote a scathing statement on Twitter seeking to expose how Telecoms Guru Strive Masiyiwa funded ZANU PF campaign during the bloody 2008 run-off elections and during the 2018 harmonised elections. Moyo also revealed that Masiyiwa has always been a supporter of ZANU PF especially the faction led by Mnangagwa. On Wednesday a shadowy Twitter character Mmatigari wrote a response to Moyowhich purpotedly is meant to dismiss the statement issued by Moyo as pure lies. I don't agree with Strive Masiyiwa on a number of issues. But It's important to examine Professor Moyo's attacks on Strive. It is common cause Moyo has despised Strive for years. Between 2001-2002, he used the state media to attack him. Moyo thought Strive has Presidential ambitions. When Strive left Zimbabwe to live in South Africa, Moyo, who quickly amassed a lot of power from 1999 (during the constitutional commission) to 2004, enlisted the likes Bantu Holomisa to attack Strive and to get him removed from SA. 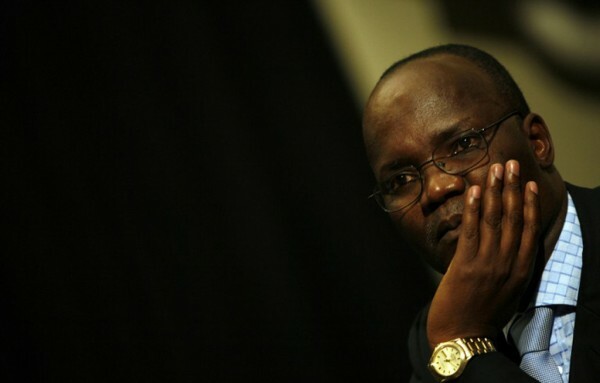 Moyo claims Masiyiwa funded elections in 2013 outside treasury. He cites Tendai Biti and Biti conveniently keeps quiet. It's common cause that Robert Mugabe placed Telecoms industry under Nicholas Goche from Chamisa. Goche pushed Econet to pay $137.5 million in license fees. Note that Econet was manipulated into paying of license fees because Netone and Telecel didn't pay up. A referendum was held on 16 and 17 March 2013 after which our constitution was adopted. Soon after Jealousy Mawarire sued the governemnt to hold 2013 elections. The court granted Jealousy the order effectively forcing Zimbabwe into an election by July 31 2013, three months after the referendum when the new constitution was adopted. The state was forced into the election. So money to hold the election soon after the referendum was an issue. MDC was not ready for the 2013 elections. They were also enjoying being in government. It was Biti who was even more anti-2013 elections. His reason was that there was no money. The election was set to cost $132 million. So to raise the $132 million, Econet we squeezed. Note that in first half of 2013, Biti was already saying the economy would shrink by 3%. In that year, government spent nearly $400million on elections + referendum. This drained the economy of forex. Douglas Mboweni announced at an analyst briefing at the end of May 2013 that Econet Zimbabwe had settled $85 million in license fees. This money was paid to treasury contrary to Moyo's fake claim that it was paid to Patrick Chinamasa & Emmerson Mnangagwa. Biti knows Moyo's story is fake. Unlike Professor Moyo's fake claim, it was Biti who was fundraising for 2013 elections and referendum. Some of the funds were raised through a corporate Bond sold to Old Mutual and Mbada Diamonds. Biti at the time complained about sanctions on Mbada by the European Union. Also contrary to Biti's claims that government didn't have any debt when he was finance minister, corporate bonds sold to Old Mutual, Mbada and other institutional investors to raise money for 2013 elections and referendum are government debt. Attempts by Professor Moyo to make a link between Mnangagwa and Strive Masiyiwa on account of the fact that both men lived in Zambia at some point reflects Moyo's tribal pre-occupations in recent days. Professor Moyo's claim that Strive Masiyiwa gave Zanu $45 million for a referendum is fake. Pure Lies. There was a drought in 2006. To fund grain imports, Zimbabwean government sold diaspora bonds. Econet bought $10 million of these in forex to avert food shortage. In his diatribe and falsehoods against Strive, Professor Moyo does not deny that he organized the bombing of the Daily News . Maybe Mlevu now loves sanctions because it's convenient, but we know he doesn't quite love them.